Pop quiz time: What states produce the most truck driver applications? Think you can guess the top 5? How about the top 10? 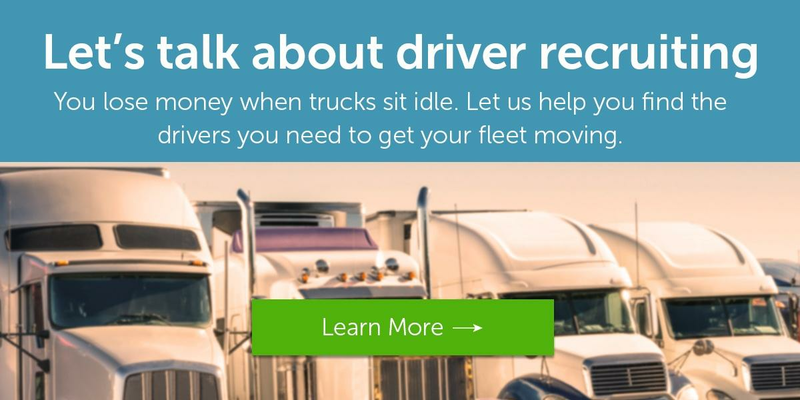 Using data we’ve collected over the last 12 months through our truck driver recruiting database and extensive recruiting network (including sites like careersingear.com), let’s see where the drivers are in the U.S. of A. We also sliced the data from the last six months and three months, respectively, to uncover possible outliers or to see if any states might be punching above their population weight in terms of driver volume. How about Florida? Big shout-out to my home state for representing with the highest volume of truck driver apps, and showing our ability to excel in things other than embarrassing news stories and manatee harassment incidents. Other than Florida outpacing Texas, the top 10 from the last six months is about the same. Across the board, for a whole year, we see the same states producing the most apps. It’s more than just a year-long trend, however. For a more in-depth look at how regional driver application density has changed over the past decade, watch Overdrive‘s video below. If you’d like to learn more, or to start a conversation about how to use data to revitalize your recruiting efforts, get in touch with us anytime. Knowing where drivers are applying from is a great first step toward getting them behind the wheel. Datadriver applicationsdriver recruitingmapsOverdriveRandall-ReillyrecruitingRigDigstatestruck driversTruckingTrucking Datatrucking industryU.S.